Then there was the time in 1978 when the bear market was taking its toll on Putnam’s holdings. Walt (The technical analyst of the firm) just couldn’t make the portfolio managers understand that bear markets trump even the best fundamentals. Once upon a time, there was a big fishing boat in the North Atlantic. One day the crew members noticed that the barometer had fallen sharply, but since it was a warm, sunny and peaceful day, they decided to pay it no attention and went on with their fishing. The next day dawned stormy and the barometer had fallen further, so the crew decided to have a meeting and discuss what to do. The crew thus decided to continue with their business as usual. The next morning saw frightful wind and rain following steadily deteriorating conditions all the previous day. The barometer continued to fall. The crew held another meeting. 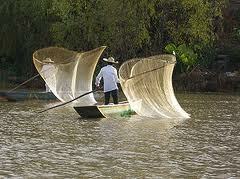 So the crew continued to cast their nets as usual. But a strange thing happened: the storm was carrying unusually large and fine fish into their nets, yet at the same time the violence was ripping the nets loose and washing them away. And the barometer continued to fall. The crew gathered together once more. So they threw the barometer overboard. What differentiates Walt’s book http://www.amazon.com/Walter-Deemer/e/B005Y5NBNE/ref=ntt_athr_dp_pel_1 and sage advice is that he was on the front line — he walked the walk in leading Putnam Management’s technical analysis effort when Putnam was one of the premier money management firms extant. I want to close by repeating what I view as my buddy/friend/pal Walt Deemer’s most famous words of wisdom — these words are always relevant, perhaps even more so in today’s markets.